Cornwall is great place to go on holiday with a baby or toddler. There are loads of safe sandy beaches to spend sunny days building sandcastles and paddling in the sea, and away from the beach, there are loads of amazing toddler friendly days out. Staying in a holiday park gives families the flexibility of a self-catering holiday, but some of the best toddler friendly holiday parks also have activities, playgrounds and swimming pools to keep the little ones busy too. Check out this guide to the best holiday parks for toddlers in Cornwall. Perran Sands is a Haven holiday park set amidst sand dunes close to Perranporth Beach and Newquay on the north coast. It has loads of things for babies and toddlers to do including swimming in the indoor and outdoor swimming pool (with a lazy river and water slide) and taking part in learn2bike sessions and football academy. Planned activities include sand art and pottery painting. On the beach there is a Surf School for older children. The new Beach Houses have a large open plan living area with dining area and an outdoor verandah with sea views, a hot tub and a BBQ. Caravans are also available. There is a lively evening entertainment schedule including family shows, quizzes and pantomime. 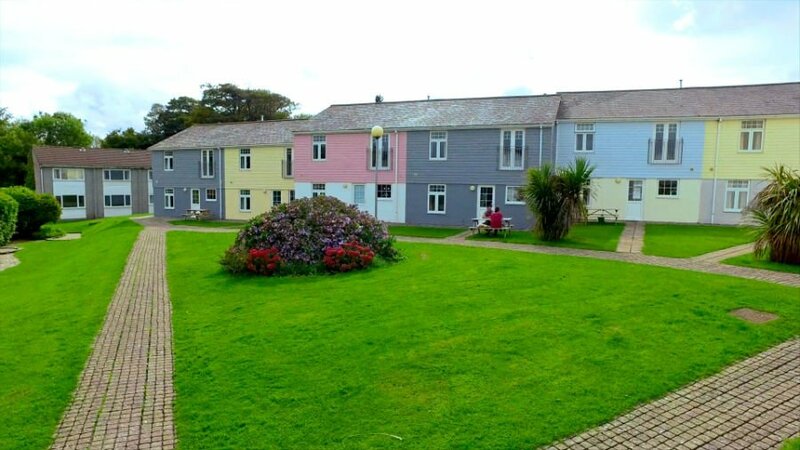 Sandymouth Holiday Park is located in North Cornwall’s Area of Outstanding Natural Beauty, in an area offering the best of beach and rural life. The park is just a short walk from Sandymouth Bay and only 15 mins drive from Bude. There is a range of static caravans and holiday lodge accommodation at Sandymouth, which can sleep between 6 and 8 people. All the holiday homes have a fully equipped kitchen, shower, TV and bed linen. Free WIFI is also provided. There are loads of facilities for babies and toddlers at Sandymouth, including an indoor swimming pool and outdoor splash pool, sports pitch and activity programme. 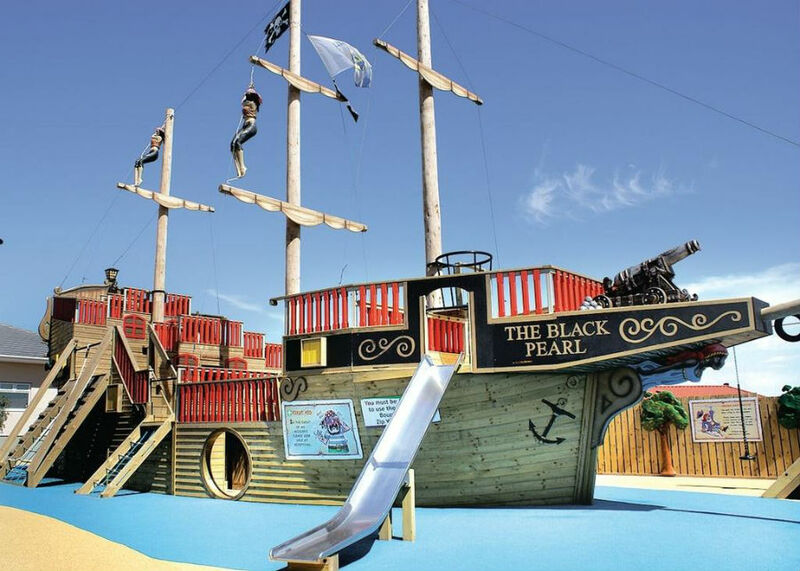 Fun activities for toddlers include Clown Academy and Pirates Paradis! There is an outdoor gym trail for parents who want to keep fit whilst on holiday. Don’t miss the nightly entertainment with leading comedians, bands and cabaret acts at the Ocean Bar (which also sells Costa Coffee during the day). Toddlers will love meeting Charlie Bear, who is the Sandymouth mascot, and who loves dancing and making friends with the little ones. 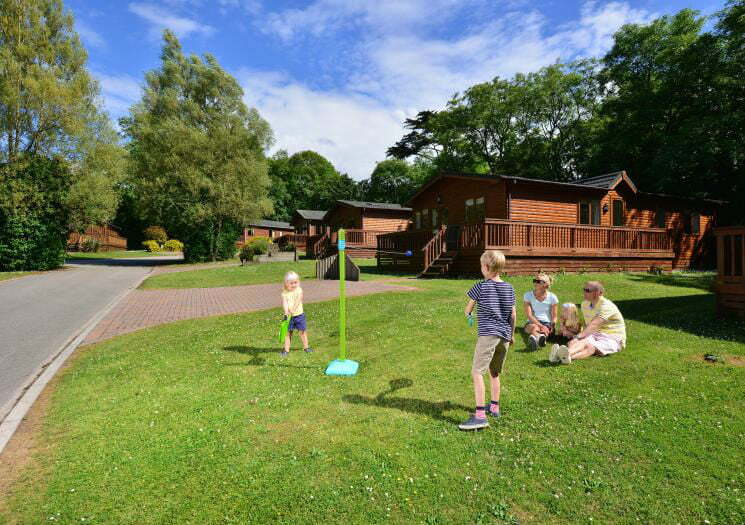 Meadow Lakes is a family run 4* holiday park in St Austell with caravans, cottages, lodges, camping pods and cabins to stay in. There are fishing lakes as well as an outdoor heated swimming pool surrounded by sun loungers. Toddlers will also love the indoor and outdoor play areas, and pets corner! The park is dog friendly and there is a large exercise park for your dog to stretch their legs. 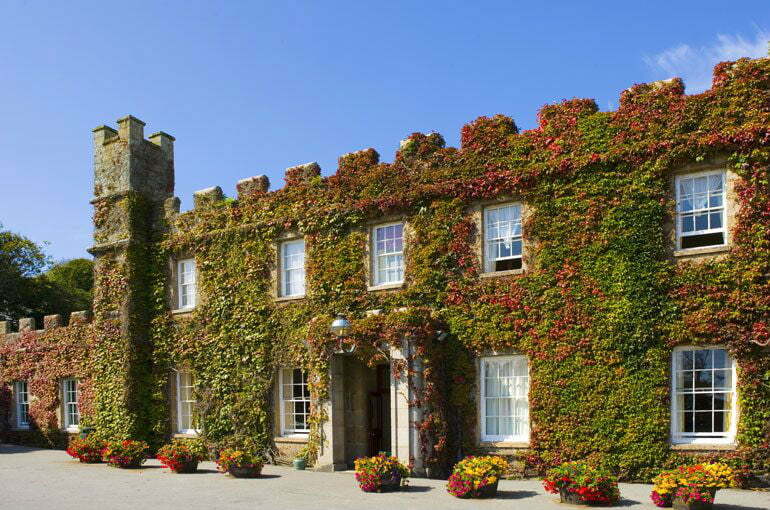 Treganna Castle Resort is a luxury family friendly resort overlooking St Ives, and within walking distance of the beach. There is a hotel with 80 rooms (including family rooms), and a huge range of self catering options including 70 cottages and apartments. There is a choice of restaurants, bars and swimming pools with a jacuzzi, steam room and sauna. Toddlers will love the woodland walks and sub tropical gardens. There is also a Castle Kids day care club which has been awarded Outstanding status. 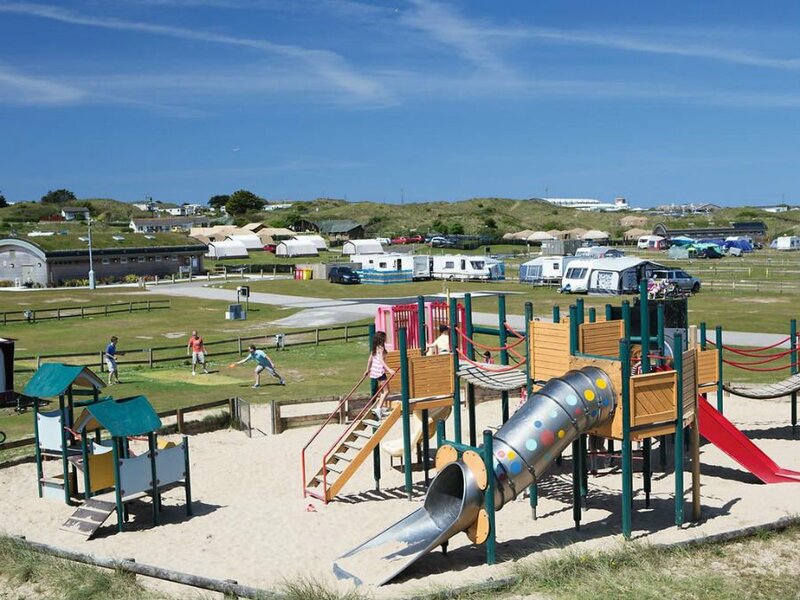 Hendra Holiday Park is located just outside Newquay and offers camping pitches, glamping, camping pods, touring caravans, motorhomes and caravans and lodge style accommodation. It is really convenient for visiting Padstow, St Ives, Tintagel, Mevagissy, Lands End, the Eden Project and St Michael’s Mount. 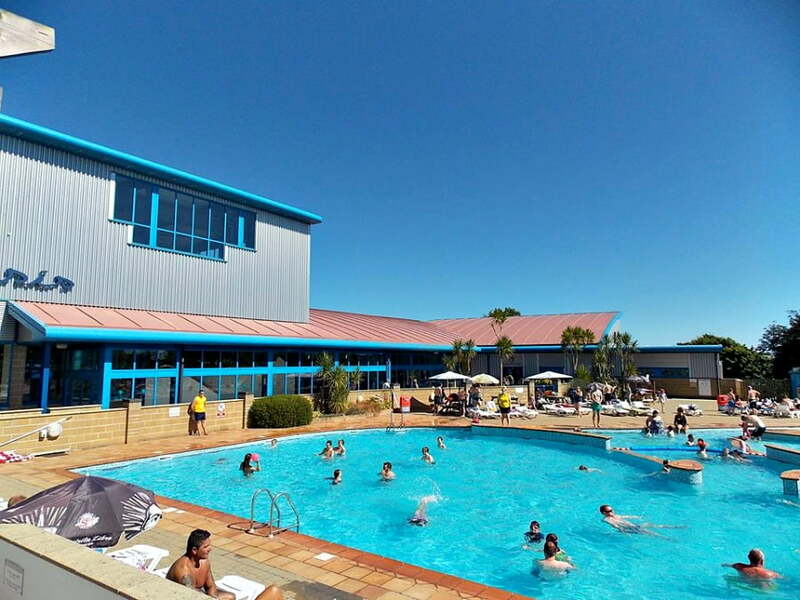 One of the best things about a holiday at Hendra Holiday Park is the Oasis Pool which is an indoor swimming pool with water flumes, fountain slides, geysers and a toddlers area. There is also evening entertainment with bars, restaurants, takeaways, coffee bar and amusements onsite. Toddlers will love playing in the indoor and outdoor play areas, and taking part in the wide range of activities on offer including Soccer Stars, Pirate Academy and Toddler Splash Time. There are plenty of activities for older children too. The Doublebois Holiday Park in on the edge of Bodmin Moor, and is a good choice if you are looking for a peaceful and quiet toddler friendly holiday park in Cornwall. There is an excellent outdoor children’s playground, and a Games Room with table tennis, pool and loads of books and games. Toddlers will love the Nature Trail, and extensive grounds with lots of space to run around, and the football pitch and tennis court. The lodges are all spacious and very well equipped with plenty of space between them. 2 and 3 bedroom lodges are available and some of them are dog friendly too. 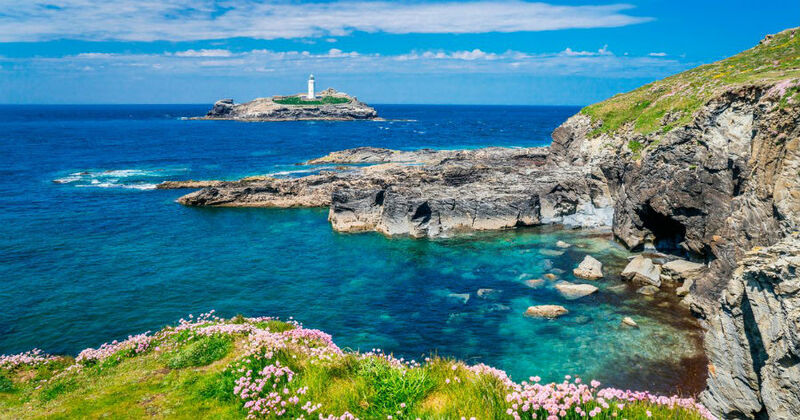 The Doublebois Holiday Park is a great location near to the A39, so it is easily accessible for Newquay, St Ives, Looe, Padstow, and the Eden Project amongst others. 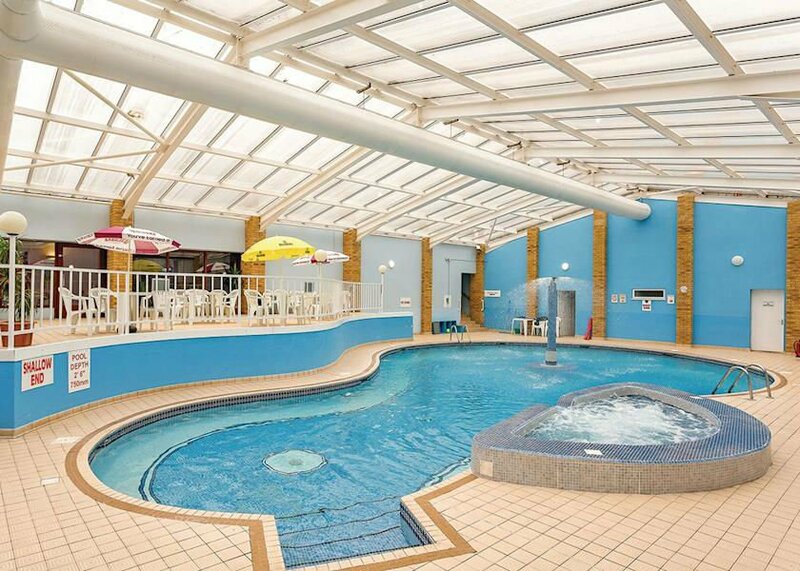 Just outside Newquay, Atlantic Reach Holiday Resort has indoor and outdoor swimming pools, nightly entertainment and over 200 holiday homes – some which are suitable for pets. There are holiday homes to suit all budgets, and they all have open plan living areas with spacious layouts and gardens. Some of the holiday homes have hot tubs. There are amazing leisure facilities at Atlantic Reach holiday resort including a large, modern gym which runs over 80 classes a week, and a Spa which offers relaxing pampering treatments. Toddlers will love the 2 swimming pools, football pitch, indoor soft play and packed entertainment schedule. There is also a Kids Club for tiny tots where little ones can take part in fun activities like story telling, clay modelling and arts and crafts. 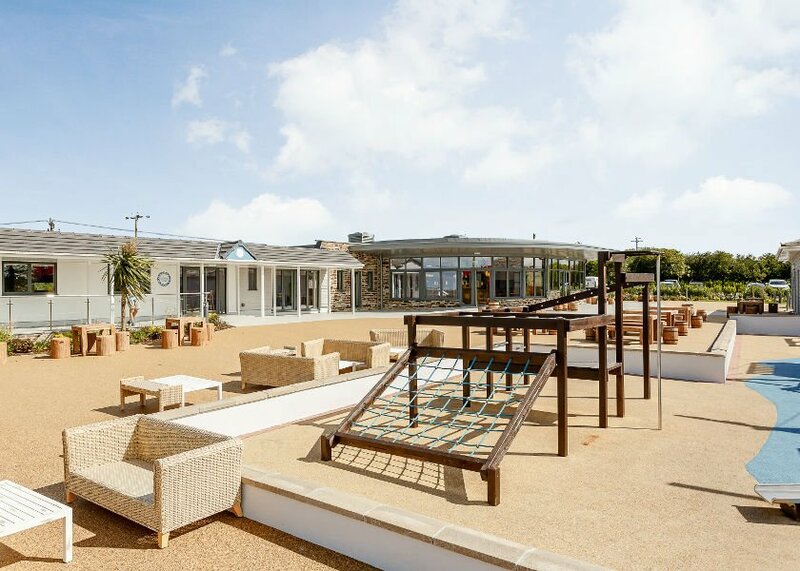 There is a great range of dining options at Atlantic Reach, including the Manor Arms which serves 3 course meals, the barista Café or having a BBQ by the outdoor swimming pool. The beach is 15 minutes away, and the resort is close to the attractions of Newquay including Newquay Zoo. 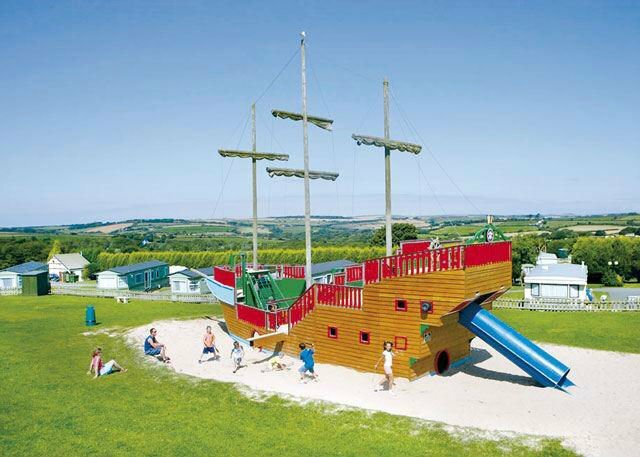 Hentervene Holiday Park is an award winning holiday park for toddlers in Cornwall. Run by a family with their own children, Hentervene is tucked away in 10.5 acres of countryside, but just 2 miles from a sandy beach at Crackington Haven. There are static caravans, luxury lodges, and even baby friendly lodges which include a wide range of baby and toddler equipment such as baby monitors, bed guards, travel cots and blackout blinds. Hentervene is a small, quiet holiday park which is a haven for local wildlife – there is even a woodland walk on the park. There is also a games room, library and play area including a playhouse, swing, climbing frame and tennis table. Little Bodieve Cornwall Holiday Park is a great toddler friendly holiday park as it has an outdoor heated swimming pool (with seasonal water slide! ), free crazy golf and play park. The park is also only a few miles away from beaches at Polzeath, Daymer Bay, and Port Isaac (famous for Doc Martin). Visitors can stay in a self-catering caravan or you can bring your motor home, caravan or tent. There is a new bar and beer garden onsite which serves small snacks, or you can walk into the town of Wadebridge for shops and cafes. The Camel Trail (excellent traffic free cycling), Eden Project, Crealy Adventure Park and Padstow are nearby. 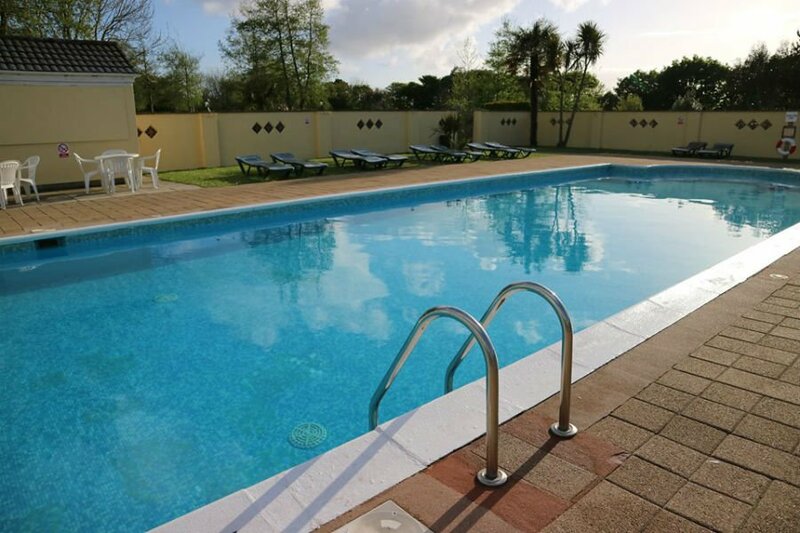 This holiday park in Cornwall is set in a parkland setting and has luxury lodges, and a heated indoor swimming pool with separate toddler pool. It is set in the grounds of an old manor house and is just minutes away from Polzeath, Daymer Bay and the Rock beaches. There is loads for toddlers at St Minver Holiday Park including a soft play area with ball pool, amusement arcade, pool table, nature trail and adventure play with fun park. There is a Kids’ Clubs for preschool children to 10 year olds, and nightly entertainment with family shows and quiz nights. If you want a holiday park which is great for toddlers with plenty of facilities and activities, but close to lots of good beaches, this is the park for you. 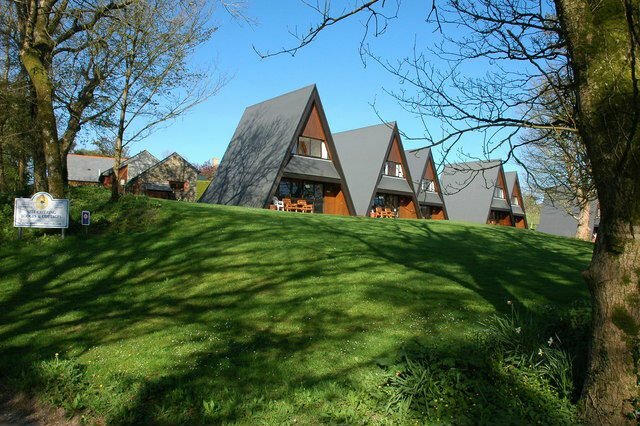 There are 10 lodges and 2 holiday cottages at Forda Holiday Cottages and Lodges in a woodland setting in North Cornwall. This is a tranquil park hidden in a secluded valley with woodland, open spaces, nature trails and a river. 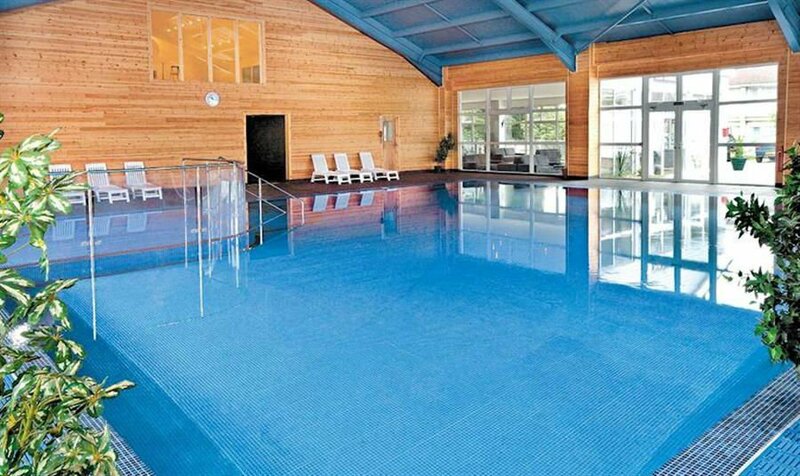 There is an indoor heated swimming pool, sauna, spa, hot tub, tennis courts and 4 course fishing ponds for guests. There is also a games room, giant chess, play area with swings, sandpit and seesaw for the younger children, as well as a boules and horseshoe pitch for all the family. The park is close to heritage coastline, sandy beaches, the Tamar Lakes and also the border with Devon. Cots, highchairs and stairgates are provided free of charge. 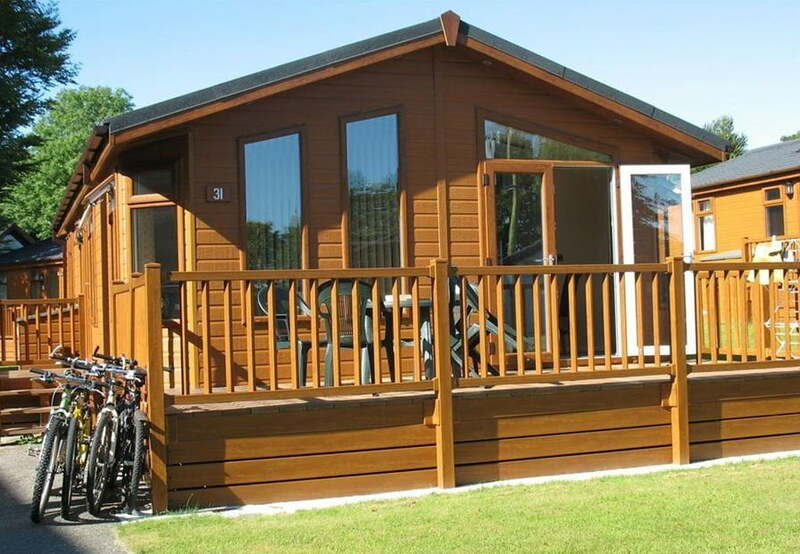 Seaview Holiday Village has a range of chalets and stylish caravans near to Looe and Polperro. Onsite facilities for toddlers include an indoor swimming pool, games room, playgrounds, shop, bar, restaurant and evening entertainment. All the accommodation includes bed linen with beds made up, TV with Freeview channels, fully equipped kitchen, heating and parking. There is also a Clubhouse which serves food and has nightly entertainment. New for 2018 is Toddler Fun Time from 4pm which is a great way of them letting off a bit of steam before bedtime!! The 4* White Acres Holiday Park is just 5 miles from Newquay set in 184 acres of rolling Cornish countryside. Families can choose to stay in a range of caravans suiting different budgets and all family sizes. They all have digital TVs, DVD players, fully equipped kitchens and bedding. 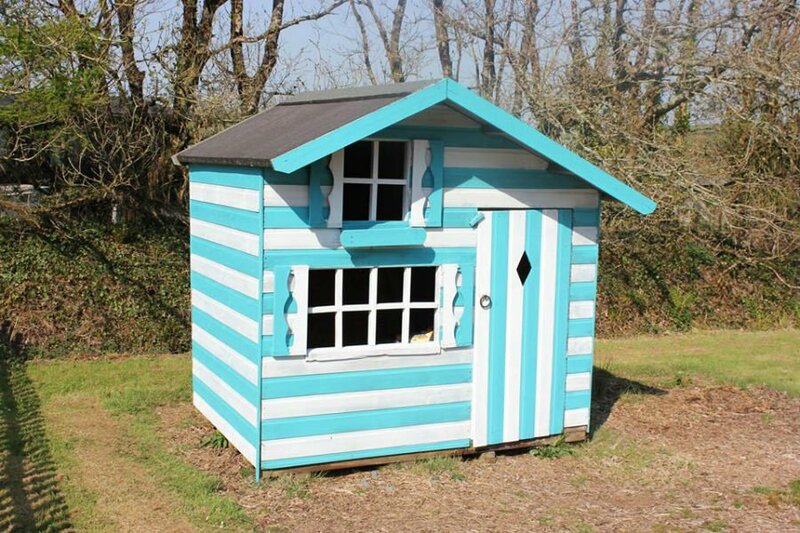 There are also a few stylish lodges available. Toddlers will love the indoor swimming pool, toddler pool and Galleon adventure play area with climbing frame and dinosaur slide. Older children may like the agility course with tyre swings. There is also a mini tenpin bowling alley and amusement arcade for rainy days. A Kids Club is available for preschool children – 10 year olds. Family friendly evening entertainment takes place too in the Lakeside Club. 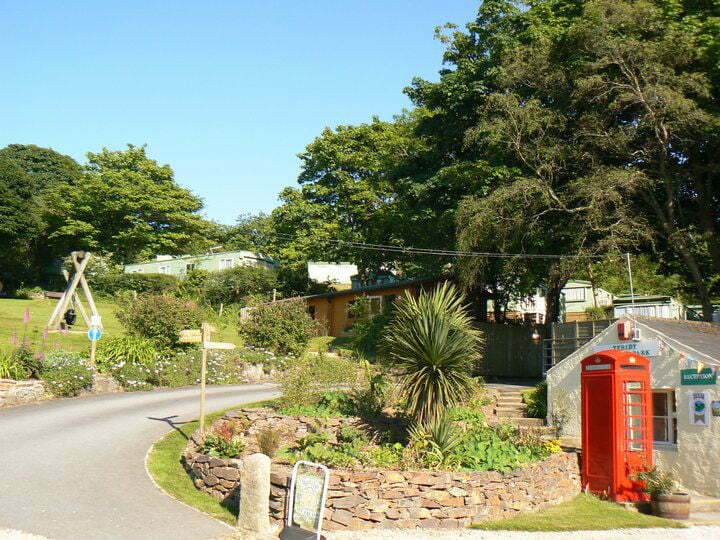 This small family owned holiday park is located in between St Ives and St Agnes in a wooded valley. It is just 3 miles from sandy beaches at Porthtowan which is a Blue Flag award winning beach backed with sand dunes and cliffs. The park offers self catering caravans, 2 and 4 bedroom cottages, camping and wigwams. The onsite facilities include a play area, games room and shop. This is a good choice if you are looking for a small holiday park in the centre of Cornwall where you can easily get to lots of attractions. 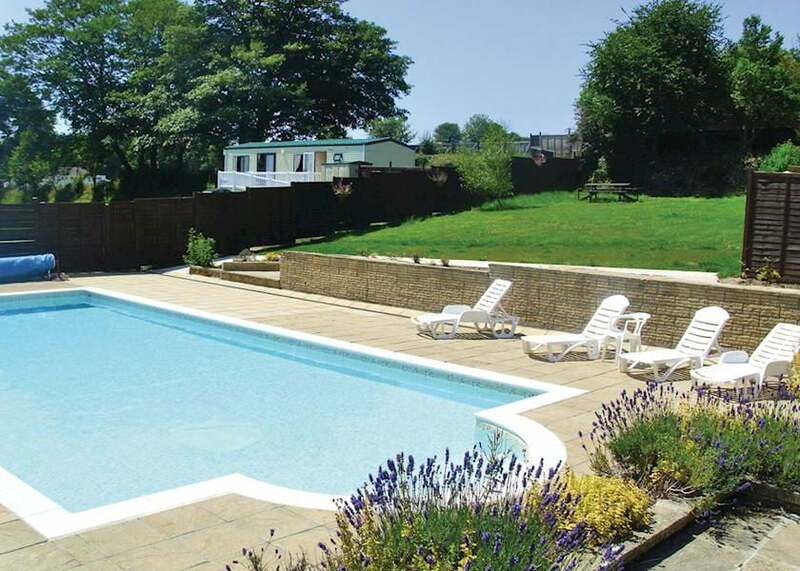 Monkey Tree Holiday Park is set in 56 acres in between Newquay and Perranporh on the North coast. 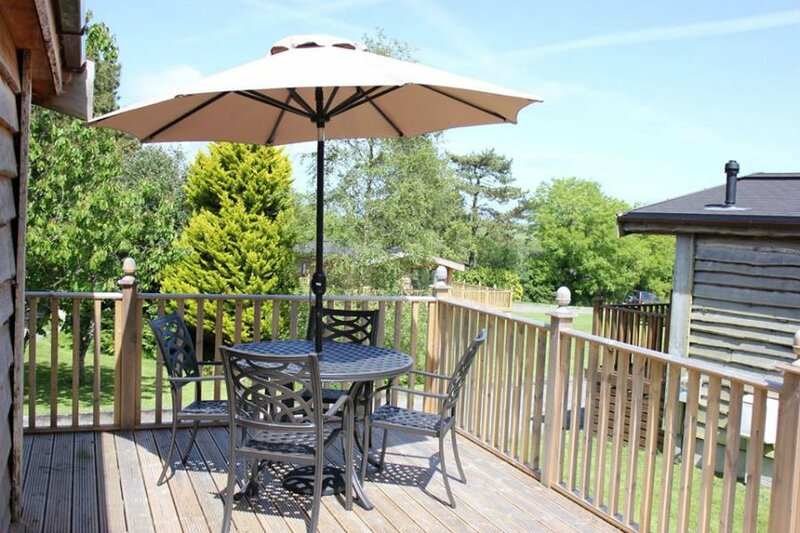 They have more than 50 static caravans for families to stay in, and they all benefit from a private patio, heating, parking and a complimentary welcome hamper. Bed linen is included, and beds are made up for you on arrival. 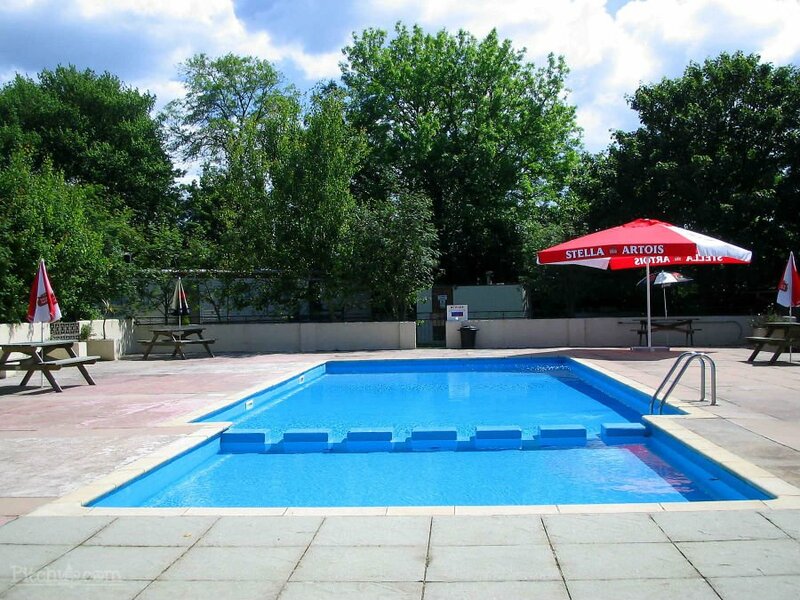 Onsite facilities include a newly refurbished clubhouse, restaurant, fish and chip takeaway, bar and amusement arcades. There is an indoor play area, outdoor heated swimming pool, playgrounds, ride on cars and diggers for toddlers. There is also daily activities for the children, and a packed in house nightly entertainment schedule.